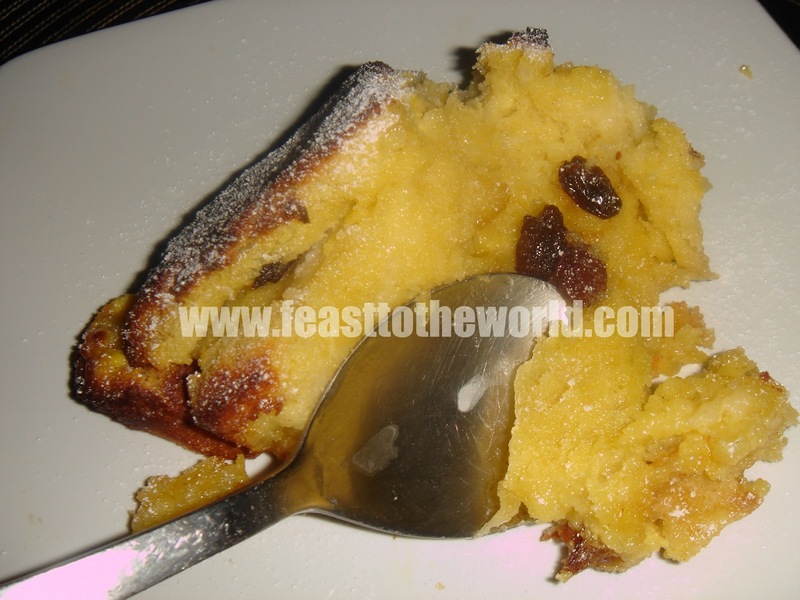 Bread and butter pudding, a fantastic way of using up stale bread and also a truly magnificent pudding in it's own right. At times of austerity, this frugal and humble pud is just waiting for a resurgence in popularity. 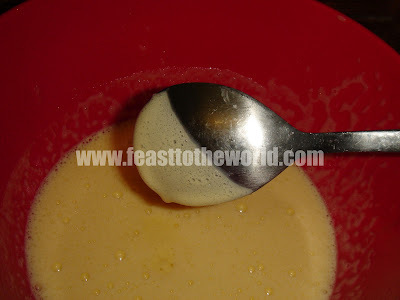 It is incredibly easy to make and for any custard fan out there, this is absolutely perfect. And as we know, the English love their custard, so much so that the french call this delectable creamy and eggy concoction Crème anglaise or the English cream. This classic pudding has a rich, warming and sponge-like texture. It should be slightly moist in the middle, thereby eliminating the need for any embellishments such as warm custard or cream. However, that is not to say that it cannot be serve with any of those. This is after all, made for indulgence and sometimes, being over-the-top is just what get us through all these doom and gloom. Yes, the weather is still that bad! Grease a 1 litre pudding dish with some butter. 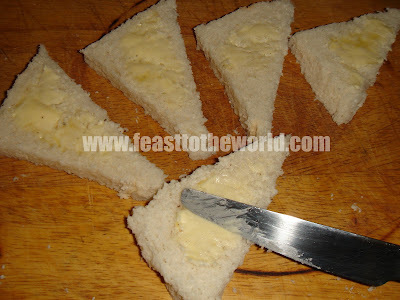 Remove the crusts from the bread slices and cut into triangles. Spread each slices with butter on one side. Arrange the bread in the bottom of the dish, buttered side up. Sprinkle with some of the dried fruit and grate over some nutmeg, if using. 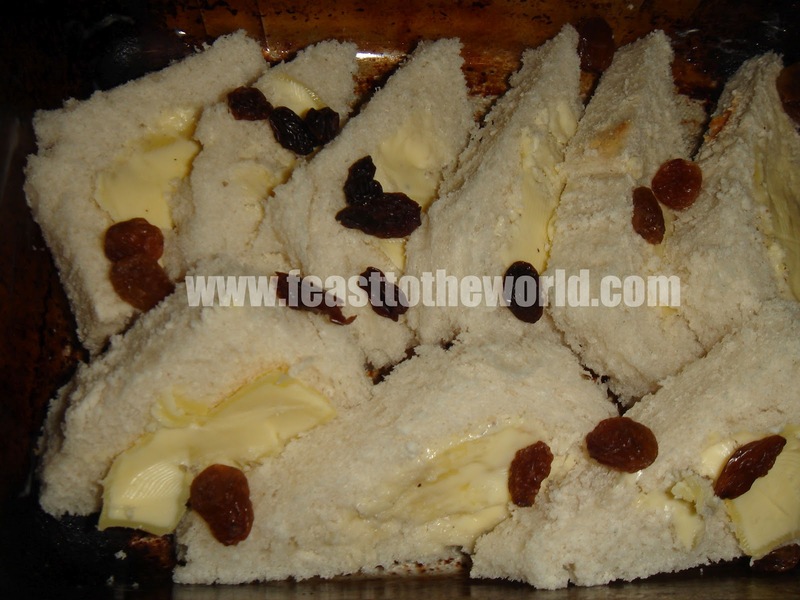 Repeat with another layer of bread, dries fruits and nutmeg, until all the bread have been used up. Finish with a final layer of bread and set aside. Meanwhile, whisk the egg yolks and sugar in a large bowl. 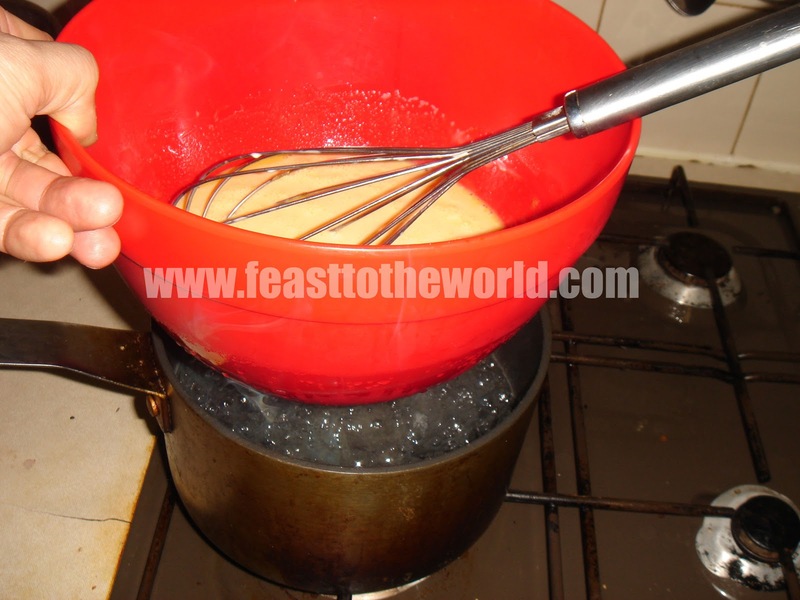 Pour in the cream and milk and whisk over a pan of boiling water. Do not allow the base of the bowl to touch the boiling water. The mixture will thicken slightly after 5-6 minutes. Add the vanilla extract and mix to combined. This will give you a basic custard. 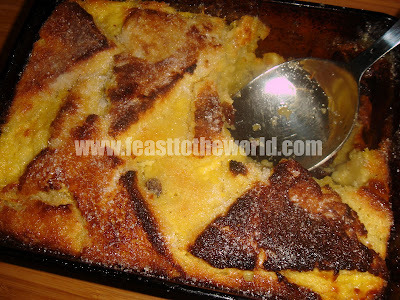 Pour the custard over the bread pudding and leave to stand for 30 minutes. 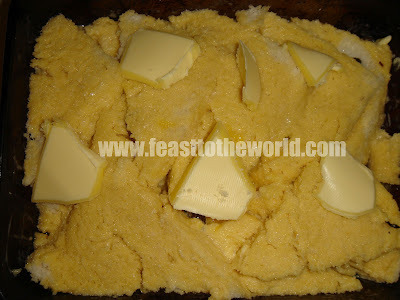 During this time, the bread will absorb all the flavours from the custard. Preheat the oven to 180°C. Add a few knobs of butter to the bread pudding before placing the dish into the oven and cook for 25-30 minutes until the pudding is just set and the top has turned golden brown. Remove the dish from the oven and sprinkle with a thin layer of caster sugar, pop under the grill to caramelise. The pudding is now ready to be serve.